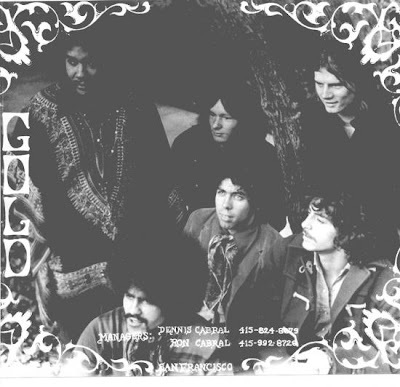 Gold was a Mission District garage band that had a great raw sound. 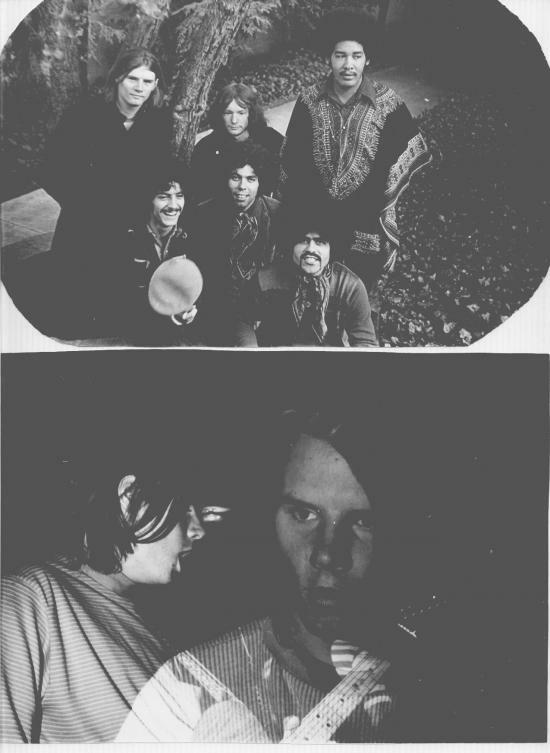 Critic Phil Elwood said they sounded something like a cross between Santana and The Jefferson Airplane. 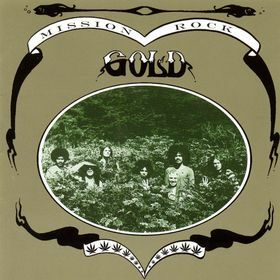 Gold is a band you may have seen forty or so years ago at places like The Matrix, Keystone Korner, Fillmore-West, Winterland and many other locations in Northern California and Oregon. They also played numerous benefits of all types. It’s a pleasure to talk about your band, Gold. First I usually ask about childhood and teen years. Where did you grew up and what are some memories of teenage years? Ed: I grew up in San Francisco in The Mission District where I spent most of my time playing Baseball. Ron: I was born and raised in San Francisco and attended both catholic and public schools. I began playing the trombone in the 7th grade and never stopped. When I attended City College of San Francisco I played in their award winning Jazz band. I also played later in a symphonic orchestra at San Francisco State University when I was working on my teaching credential. I became a regular teacher in 1966 in the middle school program teaching English and Social Studies. I remained in education till 2001 retiring as a middle school principal. Since retirement I have turned to writing and am currently co-writing a book about San Francisco in the 1970’s. What would you say had a great impact on you in early days that made you later a musician? Ed: The Beatles. When they came out it changed my focus to music. Ron: As for my musician days I did play trombone briefly in Country Joe and The All-Stars 1972 and played percussion with Gold on some of the recordings and concerts. In 2003 I backed up Country Joe on trombone at several San Francisco Bay Area gigs and we did a TV show and a radio show. In 2004 and 2005 I went on two tours with the Country Joe Band (all former members of Country Joe and The Fish except for Barry Melton) I went on the Country Joe Band tours as a driver and photographer and to sell my book Country Joe and Me. Those tours went from LA to Canada with many stops in between like Seattle, Portland, Lake Tahoe, and Victoria, Canada. I read from my book and introduced the band at the EMP (Experience Music Project) in Seattle. The book is also a kind of biography/autobiography as Joe and I shared many experiences in the military, music, performing and education. All during the music part of my life I was a also a full-time teacher for the San Francisco Public Schools – I wrote about some of that in the book. Ron, there is an interesting story behind meeting Country Joe McDonald and you actually wrote biography about Joe. Would you like to tell the story, for those who don’t know the book and might find it interesting? Ron: Country Joe and Me is about Joe McDonald who I met while we both served in the US NAVY in Japan during the 1960-61 period. We served as Air Control Tower Operators and lived in the same barracks. There is a chapter in the book called In the Navy which describes our time in Japan. 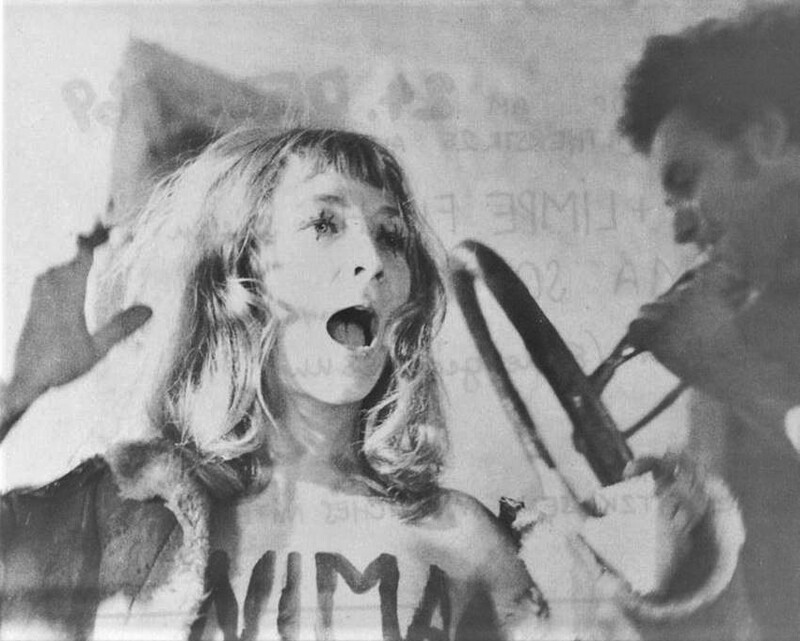 Since we were both from California we met up again a few later in San Francisco and then again at the Human Be-in held in Golden Gate Park in January 1967. I didn’t know at that time that Joe had started a band with Barry Melton called Country Joe and The Fish. I got very excited about the music scene that was happening in my home town and I wanted to participate in it. The book describes my efforts to do so and my managing of a group called Celestial Hysteria. The name was borrowed from a poem written by beat poet Lenore Kandel. I managed Celestial Hysteria for a year then joined my brother Dennis in managing Gold a Mission District garage band that had a pretty good sound – kind a bluesy Jefferson Airplane/Santana sound. 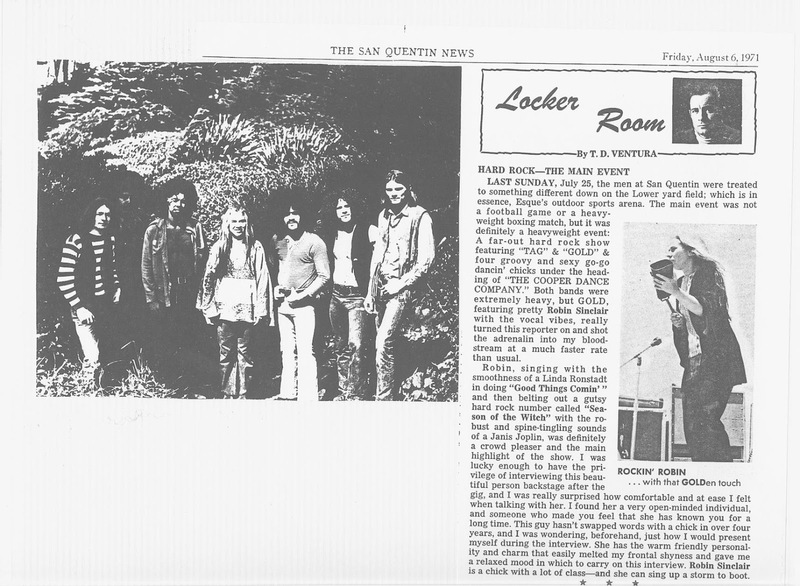 The band went on to play all the Bay Area venues including Fillmore, Fillmore-West and Winterland. Opening shows for the likes of Mike Bloomfield, Janis Joplin with Big Brother and the Holding Company and Full Tilt Boogie, Hot Tuna, Malo, Cold Blood, Country Joe, Tower of Power and even British rockers Ten Years After. It was a good ride lasting till 1973 when the band finally broke up, five years in all. Country Joe and Me has much in it about my years in music and had 60 photos and memorabilia. Along the way I met and had some very interesting encounters with Bill Graham, Chet Helms, Janis Joplin, Jerry Garcia and many other San Francisco based music people. Were you in any bands before forming Gold? Any recordings from then? Ed: No,Gold is the only band I have ever been in. Who was all in Gold and how did you guys came together to form the band? Ed: There was Chico Moncada (bass),Louis Goursau (drums), Sebastian Nicholson, Congas, Joe Bajza (lead guitar) and myself on rhythmn guitar and Richard Coco on lead vocals who was later replaced by Robin Sinclair. Ron: Key members of Gold: Ed Scott – guitar, Joe Bajza – guitar, Chico Moncada – bass, Sebastian Nicholson –Congas, Louis Gorseau – Drums, Roy Garcia – drums, Jose Lopes, drums, Richard Coco – vocals, Robin Sinclair – vocals, Bob Golden – vocals note: Ron Cabral – latin percussion was also a manager of the group with his brother Dennis Cabral. Gold played a benefit in Berkeley and later drove across the bridge to North Beach in San Francisco to play a party for the opening of “Fortune in Men’s Eyes” play starring Sal Mineo. Sal played in such movies as “Rebel Without a Cause” with James Dean, he also played Gene Krupa in the “The Gene Krupa Story.” Sal really liked the band and he went out of his way to talk to the band members. Is there any special meaning behind the name Gold? Ed: Gold came about after many longer names, Golden Gate Meditation Society, Golden Gate and finally I told my manager we should just be Gold, and we were. Tell us about Gold concerts. Where did you perform and with who? Did you ever tour? 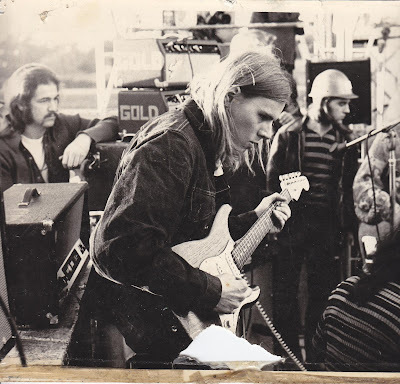 Ed: Gold mostly played in the San Francisco Bay area, at Places such as The Fillmore West, Winterland, Pepperland and others with bands like Ten years After, Tower of Power, Cold Blood, Mike Bloomfield and others. 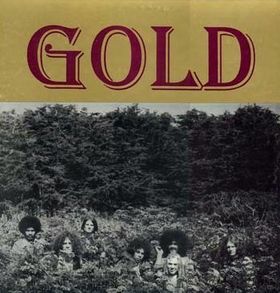 Ron: Gold is perhaps the most famous unknown band to come out of San Francisco. If they had a hot LP out while they were playing the San Francisco Bay Area they could have broken out, but it just didn’t happen. Another very fine group working in San Francisco Osceola falls into the same category. Both band played on some big shows. Gold played a private party for the late actor Sal Mineo. Gold played at a Lesbian bar called Saturnalia in San Francisco. Gold opened the show at Winterland in 1971 for both Hot Tuna and Ten Years After. Gold appeared backing Country Joe at Friends and Relations Hall at a gig in 1971 featuring New Riders of the Purple Sage. 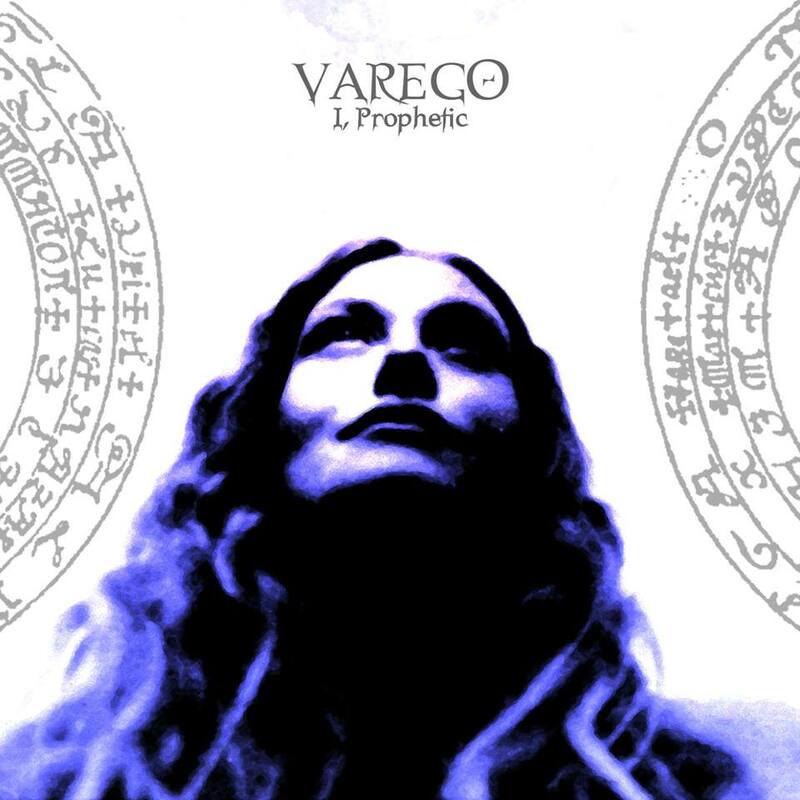 In 1996 Rockadelic released your LP. What can you tell me about this recordings? When and where were they recorded and what are some of the strongest memories from producing and recording it? Ed: The recordings on that album were recorde at Golden State Recorders in San Francisco. We were all very young and very excited about recording our music in a recording studio. Ron: I do want to point out that during some peak stages for Gold, Country Joe came in to the picture and became a kind of producer of the group both in the recording studio and in out of the studio. He became like a coach in performing techniques when the band played Winterland. Gold recorded part of music sound track for the Saul Landau film Que Hacer in 1971 a film about Chile when Allende was president. Joe appears in the film several times. He also taught the band 2 of his tunes Summer Dresses, and Piece of Your Action and produced a version of Summertime all in the Golden State Recorders studios in San Francisco. Joe tried his best to bring Gold up as high as they could go. Bill Graham gave them several booking in his big venues and still they fell off the edge and had broken up by 1973. Why were your recordings never released? What happened? Ed: We really didn’t know for sure, but probably due to lack of proper promotion. 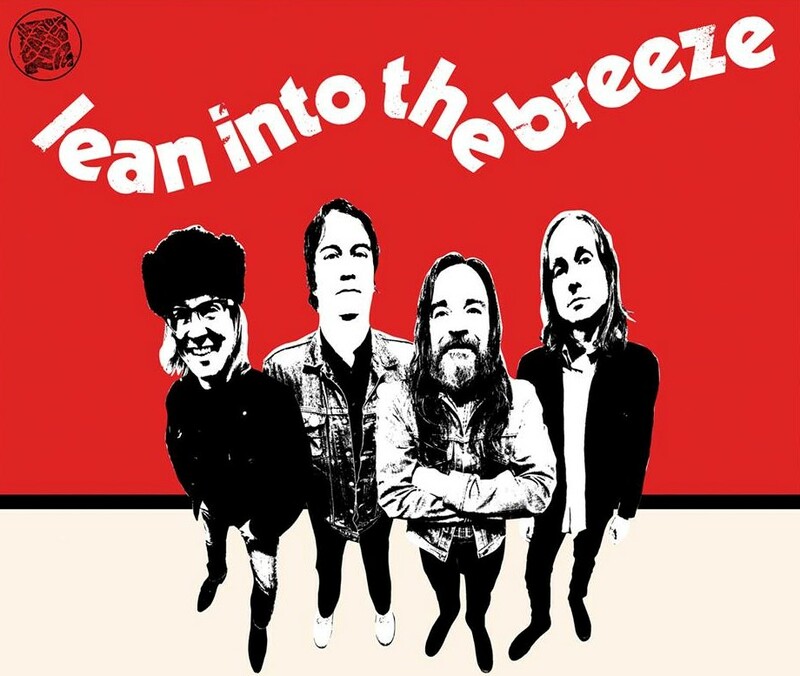 There is another LP out called on Mission Rock, released by World In Sound Records. What can you tell me about the material? I know it was recorded live in San Francisco 1971. Ed: This album was recorded at a time when Gold as a band was probably at it’s best artistically,really strong songs. Ron: The liner notes of both WorldinSound CD’s contain much information and history of Gold. I wrote both of them. Wolf Reuther CEO of WIS has done much in finally getting the GOLD sound out to the world. I want to thank him so much for the great engineering and distribution of Gold to the psychedelic collector world. The CD’s have been out for about 10 years now and have sold all over the world. WIS specializes in finding psychedelic music of the late 60’s and 70’s that missed getting picked up by a record label back in 1969 to 1973. Gold’s recordings were saved over the years. The Mission Rock CD is actually a live on KSAN radio broadcast. 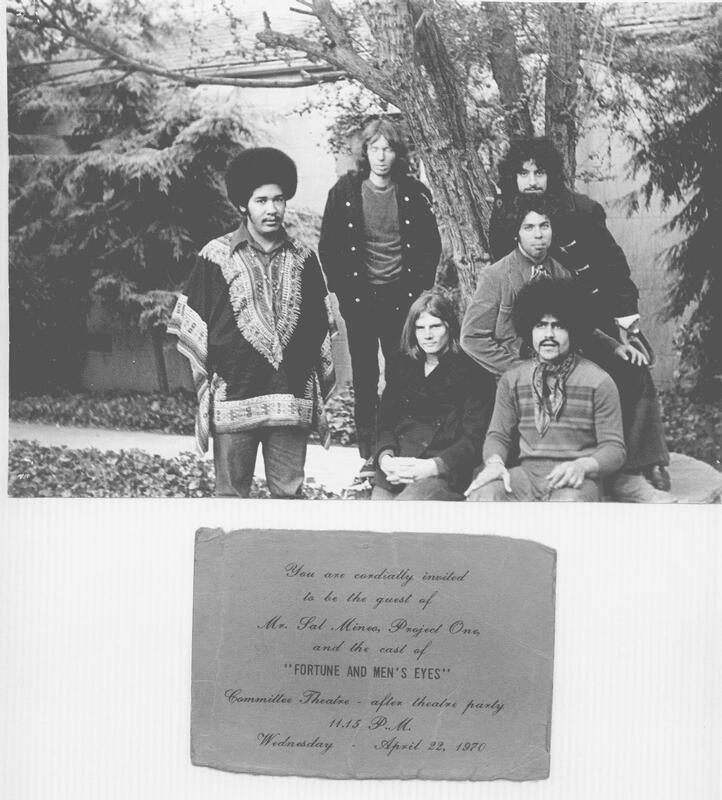 The Oregins CD is half studio recordings from Golden State Records and half live at the Fillmore-West during an audition performance for Bill Graham. Ed Scott found the old Rockadelic LP in a used record store in Marin County back in 1997. It is kind of mystery how that one came out. It surprised everybody. I believe it made Wolf search for us which resulted in the 2 WIS CD’s. Work on Mission Rock started in 2001 and the CD came out in 2002. Oregins ORE=Gold, GINS=Oregins… The misspelling is correct came out in 2003. I worked back and forth with Miguel first then Wolf back and forth on the phone and computer to create the Liner Notes and other issues concerning making the CD. It was a real good experience. Of course Golden State Recorders was owned by the late Baron Leo Kulka – an old style record label. Many groups recorded at Golden State including Big Brother and The Holding Company. Kulka signed the group and many others and tried to sell them off as package deals to other labels. Rock Czar Bill Graham really liked Gold and gave them several chances to advance their career. He encouraged us to get a LP out back then in 1970- 1971 because he had to book many groups to play Fillmore that had hit LP’s and he booked them 3rd bill. The LP he wanted to hear never came in his lifetime as he died in a horrible helicopter crash in 1991. That CD would have been the 2 products made by WIS but that was many years later. Kulka never released an LP but did a 45RPM of Summertime on the “A” side and No Parking on the ”B” side. Gold’s biggest gig may have the 1970 Hells Angels party in San Rafael. 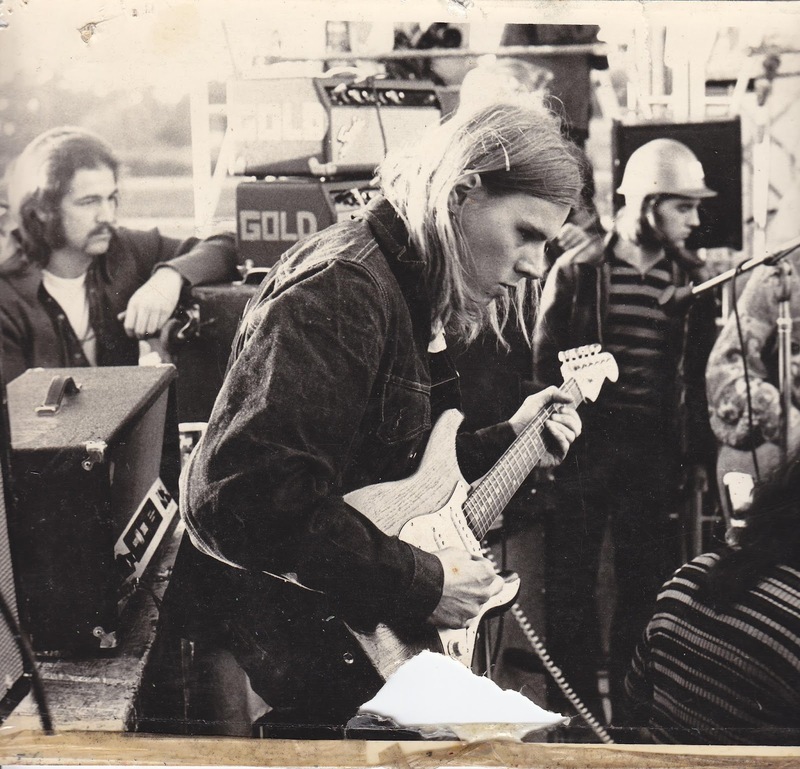 The bill was Loose Gravel with Mike Wilhelm, Gold, Big Brother and the Holding Company, Full Tilt Boogie and Janis Joplin. It’s all in Country Joe and Me. Country Joe and Me can be found at www.amazon.com and on the German www.amazon.com. Also on Kindle and Nook. Would you like to tell me about songwriting. What inspired you the most? Ed: I think that I was influanced by alot of the music at the time and it was a combination of various styles that we kind of blended together and created our sound. What happened after the Gold? Ed: I guess everyone kind of went there separate ways and did other things. Ed: Well,I actually have a new version of Gold and we are still music,some old and some new. Ed: Yes, there is also another album out on World in Sound called Oregins,Check it out as well as Mission Rock. Thanks for your interest in Gold. 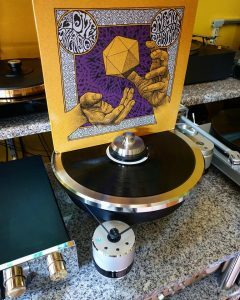 WorldinSound did release a vinyl recording. You can see it on their website. Might be hard to actually land one as they only made so many.